Product prices and availability are accurate as of 2019-04-19 23:46:24 CDT and are subject to change. Any price and availability information displayed on http://www.amazon.com/ at the time of purchase will apply to the purchase of this product. 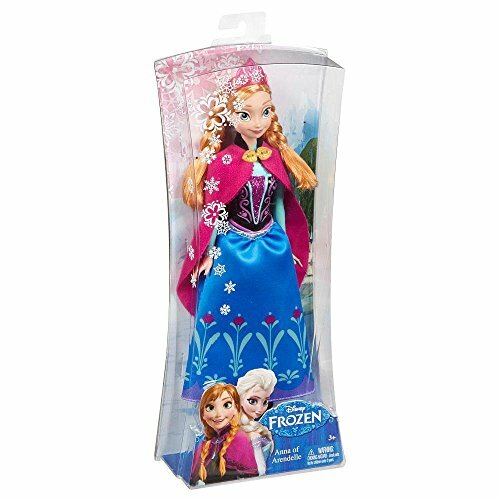 In Disney's Frozen, Anna is a spirited daydreamer who ends a wintry spell with the help of her sister Elsa, Kristoff, Olaf the snowman, and her own determination. 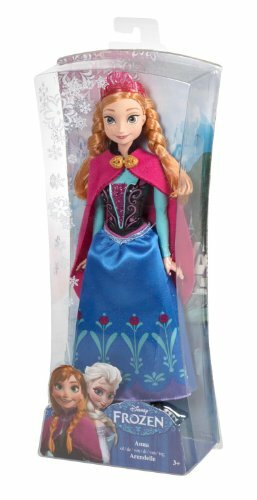 Kids will love re-creating Anna's magical adventures in Arendelle with this delightful doll. 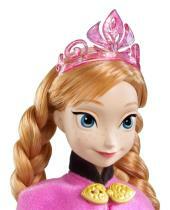 Featuring true-to-movie details, Anna wears her signature outfit that fans of the film will instantly recognize. 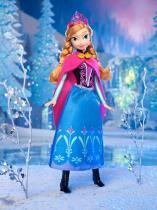 Anna's beautiful gown incorporates the magic of winter and the character's own rich ancestry. Her enchanting outfit is a one-of-a-kind design inspired by the Disney movie. The multi-colored bodice features sparkling pink swirls and floral designs. The removable skirt shimmers with a design inspired by traditional Norwegian rosemaling. Because Anna hails from icy Arendelle, she wears accessories to keep her warm, like snow-friendly black boots and a high-collared pink cape with a golden clasp. Her beautiful hair is styled in two classic braids and topped with a sparkling pink tiara. In this lovely look, she is ready to brave the ice and snow and find happiness for the entire kingdom - and herself. Kids will love playing out favorite scenes from the film or creating new adventures for this spirited and inspiring character.